Leonard Steinberg was one of the most successful businessmen to emerge from Ulster: he made of two small concerns in Belfast the giant Stanley Leisure Group, as well as an eight-figure personal fortune, and became the first Jewish Ulsterman to be elevated to the British peerage. Steinberg was born in Belfast and attended the leading Belfast school, the Royal Belfast Academical Institution. When he was 18 his father died, and Steinberg took over the management of his father's business interests, an optical business and a milk bar. Steinberg had little interest in or aptitude for the optical business, instead starting a small betting shop. Under his direction, this grew into a successful business, with 16 outlets by 1977, trading under the name L Stanley, this being the Anglicisation of the family name which his father had used. "In 1986, when we had 12 betting shops and three casinos, he owned 90 per cent of the company and floated it with a valuation of less than £9 million. Twenty years later, when the shops were sold to William Hill, the business was worth £1.1 billion. You don't need to know anything else about Leonard Steinberg... In the late 1980s and early 90s he was the sharpest guy on the block. His strategy was to make acquisitions and make them better, and he'd back his own judgement." He was a prominent Baal Tzedakah, as it is in Hebrew; in other words, he made large donations to charitable causes. He was president of the Manchester Jewish Federation, with more than 1,000 hardship cases on the books at any one time. 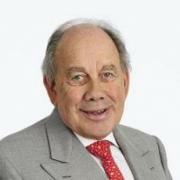 He also made large donations to the British Conservative Party and was appointed deputy treasurer of that party in 1999. He was elevated to the House of Lords in 2004, where he was an active contributor, though confining himself to areas within his expertise: apart from the bookmaking and casino business, also the Middle East, Northern Ireland and the concerns of the Jewish community in the UK. He had a deadpan sense of humour: during a debate on Northern Ireland featuring the IRA raid on the Northern Bank in Belfast in December 2004, which was the biggest single bank robbery of its kind in British history, he declared that he was an interested party, as he held an account there. He took care not to become assimilated into England too much, retaining his Belfast accent and on his elevation to the House of Lords he elected for the style Baron Steinberg of Belfast. Responding to the official announcement of his peerage he told a newspaper:" I am in some respects devoted to three things: I am Jewish, Northern Irish and an Ulster Unionist. I hope that doesn't cause confusion." He was first President of the Northern Ireland Friends of Israel organisation: he declared after this honour being bestowed on him that it brought together the two most important strands in his life. He was an active member of the Manchester Jewish community and president of the Jewish Federation and the Manchester branch of the United Jewish Israel Appeal. He also chaired the local synagogue in Hale and was president of Lancashire Cricket club. A Leonard Steinberg Memorial Lecture was instituted in 2010 and the inaugural lecture delivered in London on 16 November of that year by the Secretary of State for Northern Ireland. Lord Steinberg died suddenly in London on his way to attend the House of Lords.